Runvee Hobart - This home boasts pride in ownership and features over 128k in custom upgrades including a chefs kitchen with custom cabinets, granite counter tops, upgraded stainless steal appliances, open floor plan with built in shelves, upgraded bathrooms, high end custom flooring, custom fixtures, covered back patio with built in BBQ and extended outdoor living space & much more! MLS#2089228. Realty ONE Group, Inc.
Eldorado - Dinning room right off the kitchen and open to family room. MLS#2089346. Love Local Real Estate. Eldorado - Close to Parks, schools, hwy access.... Great Location! MLS#2088995. Coldwell Banker Premier. All new, easy maintenance landscaping and of course POOL & SPA with covered patio. Do not miss this one! MLS#2085639. Galindo Group Real Estate. 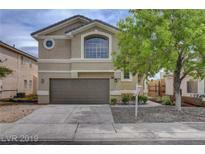 Sierra Ranch Village - Convenient to freeways, schools, shopping, restaurants, and more! 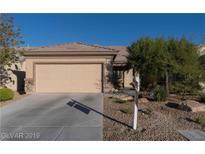 MLS#2089038. King Realty Group. 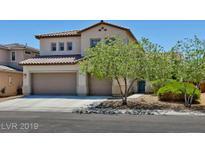 This North Las Vegas one-story home offers stainless steel appliances, granite kitchen countertops, master bathroom with separate tub and tile-surround shower, covered patio, and two-car garage. MLS#2087771. Opendoor Brokerage LLC. Second bedroom is on other side of house next to a full bath. All appliances included! MLS#2089198. Elite Realty. Rancho Ridge - Carpet in bedrooms. Big Master closet. 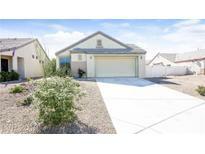 MLS#2089454. Realty ONE Group, Inc.
Property being sold "AS IS" and probate approval required. MLS#2089361. eXp Realty.